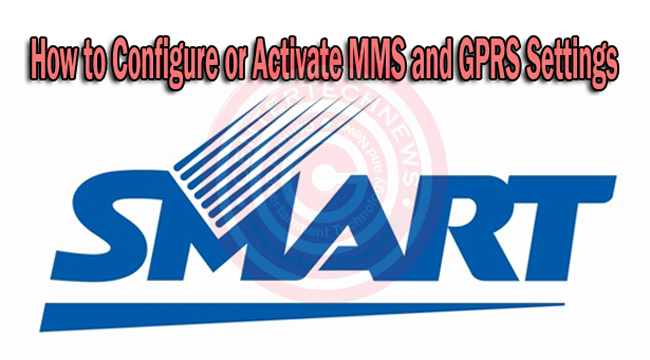 Activating MMS and GPRS for Smart subscribers are easy and important as well. When activating a prepaid SIM, regardless of the handset model nor brand, Smart would usually send a message to the user to activate the MMS and GPRS to enjoy advanced apps such as data service. It was Friday last week when Manny Pangilinan, PLDT’s big boss, announced that free internet service would be given to all Smart, TNT and SUN prepaid users. To enjoy surfing the net, liking on Facebook, Twitting and updating status, subscribers must have activated MMS and GPRS in their smartphones. Follow each step and start knowing what else your phone can do for you. Wait for the configuration that would be sent to your phoe within 24 hours. When you had recieved the configuration, you would be asked to save the settings of SmartMMS data account, and SMART MMS WAP profile. The MMS settings is already configured to the SmartMMS WAp profile. After saving the settings, you would receive a message confirming that GPRS and MMS in your phone had been activated. Type ‘SET INTERNET’ and send to 211. Configuration would be downloaded after a few minutes. Then you would have SmartPC WAP profile and SmartPC Data account. Edit the account and include one DNS Setting. After the downloading set the SmartGPRS data account and SmartGPRS WAP profile as your default profile. After the downloading set the SmartWAP data account and SmartWAP WAP profile as your default profile. A simpler way to activate GPRS is to type GPRS on and send to 333, and type MMS ON and send it to 333 to activate your MMS. Wait for the confirmation message of your activated setting.